Bio Laundry Tablets are tough on dirt. They have been specially developed to tackle tough stains to give you excellent results from every wash. The easy and convenient tablet means there will be no spills or measuring like a detergent. Add one or two laundry tablets to your washing machine drum. The Ecozone Laundry Tablets - Pack of 32 product ethics are indicated below. To learn more about these product ethics and to see related products, follow the links below. Effective, last for ages (32 tablets, so roughly 2 washes a week - 4 months!) and makes washing smell lovely. 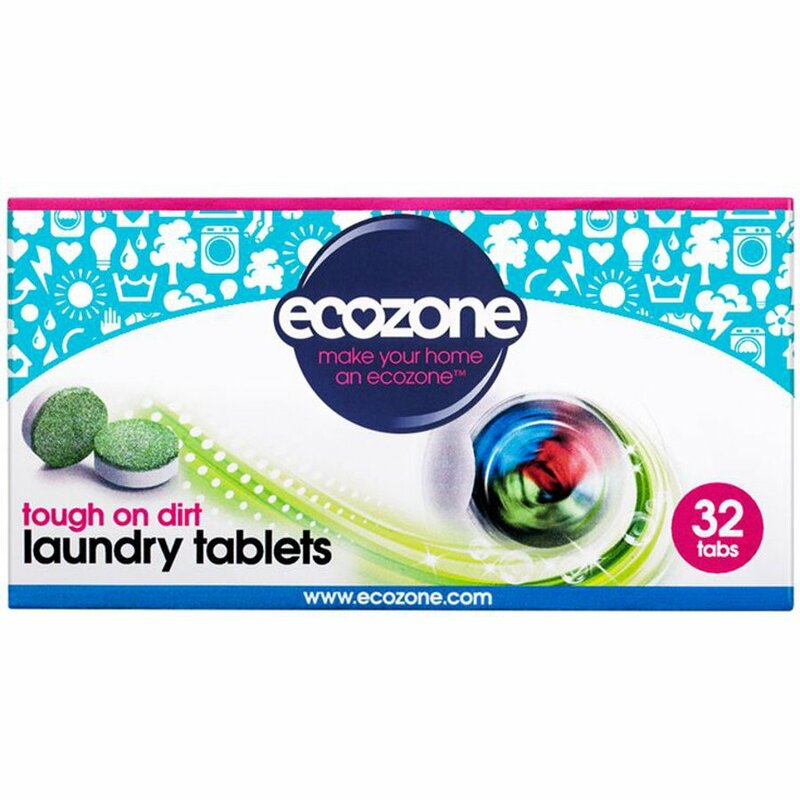 There are currently no questions to display about Ecozone Laundry Tablets - Pack of 32. Ecozone design and manufacture ecological cleaning products, energy saving products and eco gadgets. They are a British company, established in 1997 that has successfully grown to supply 22 countries with ecological, innovative and technologically advanced cleaning products. 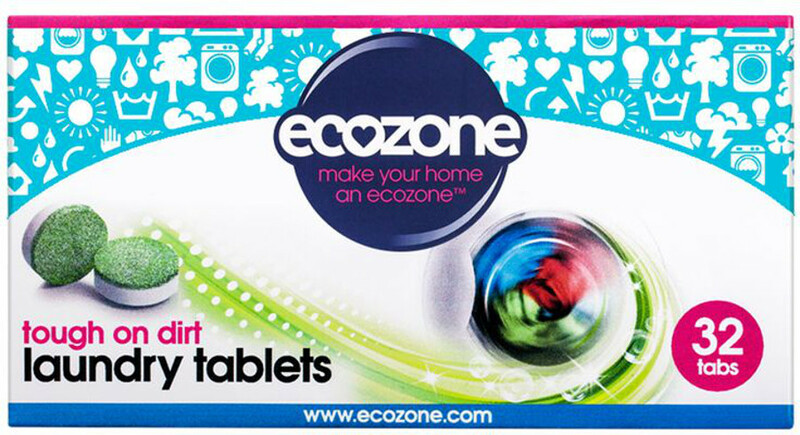 Make your home an Ecozone.